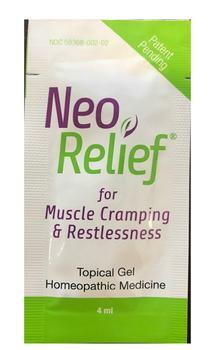 BioLyte Laboratories is recalling certain lots of NeoRelief for Muscle Cramping and Restlessness Topical Gel. Some of the active ingredients, manufactured by King Bio, have been found to have some water contamination issues that could have affected the product. There have been no reports of illness or injury due to date. Customers who purchased the recalled product should discontinue using it and contact BioLyte Laboratories to make arrangements to return it. Consumers with questions may contact BioLyte Laboratories at (800) 538-1455, Ext. 1, Monday – Friday 7:30 am – 3:30 pm (EST) or by e-mail at support@biolytelabs.com.